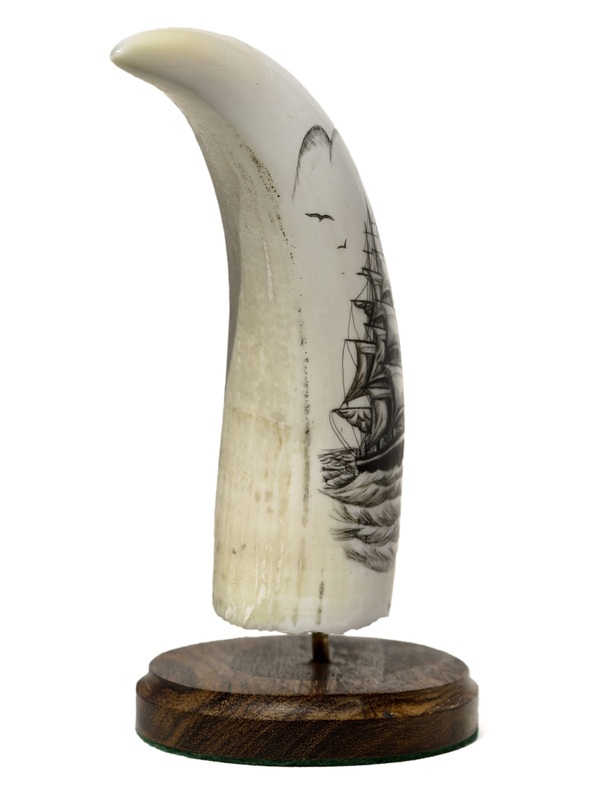 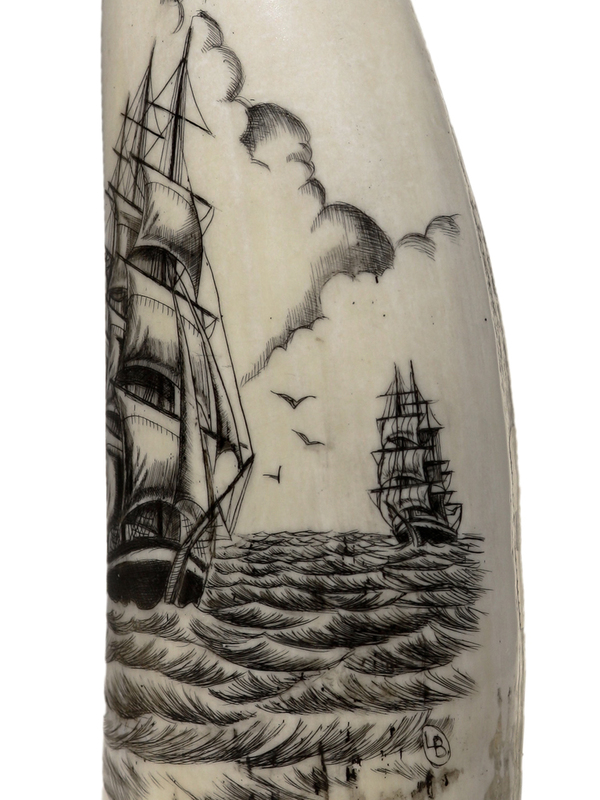 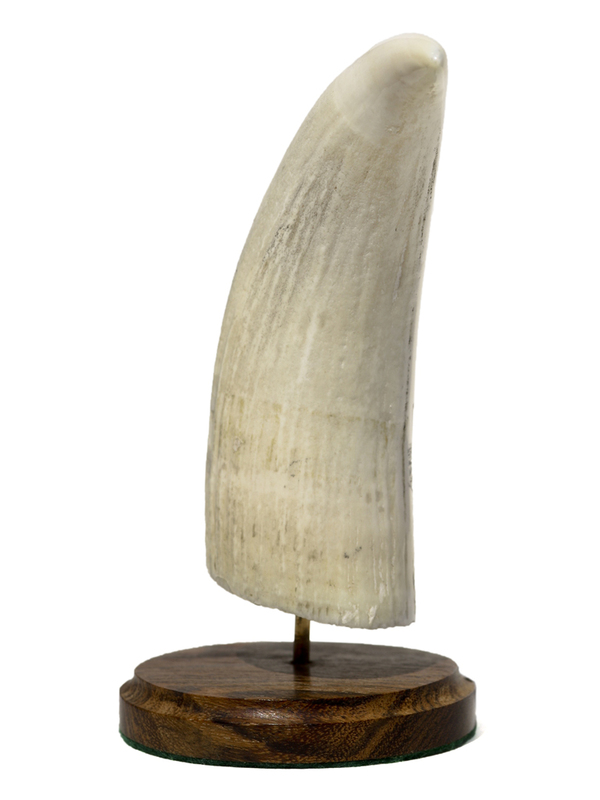 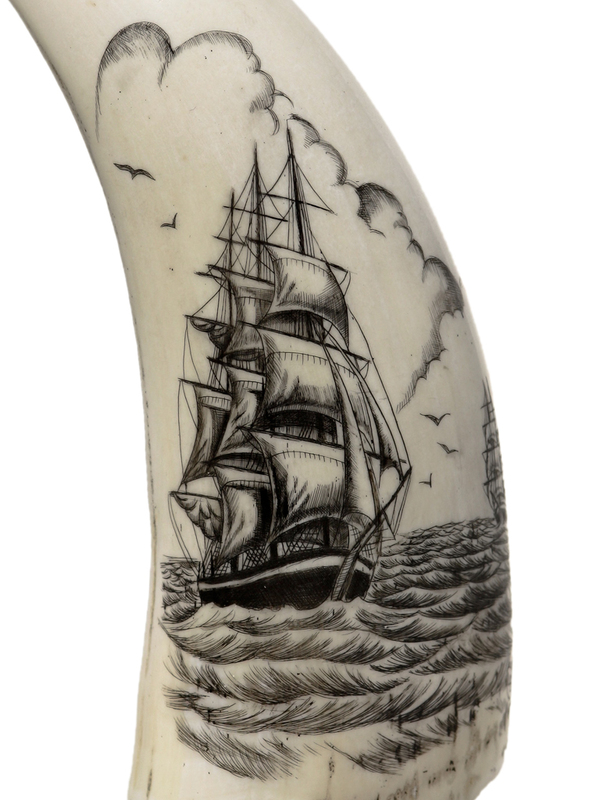 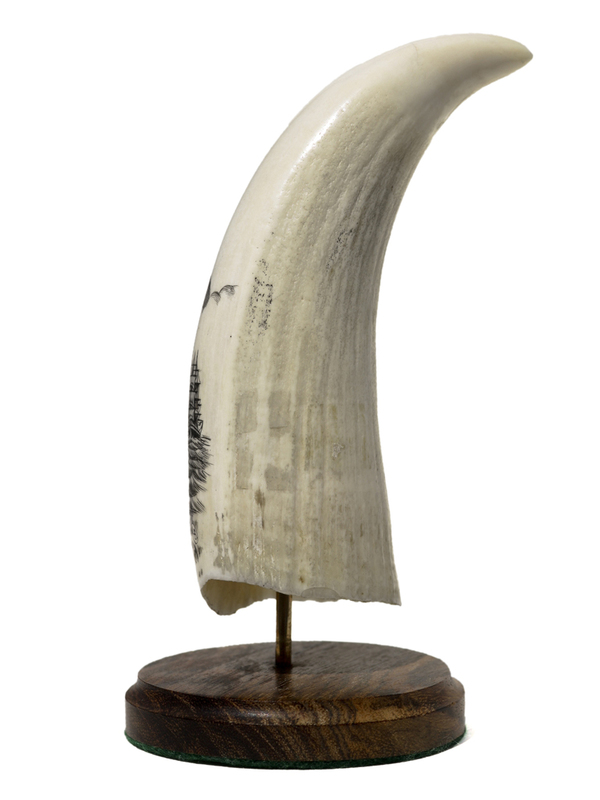 Black and white scrimshaw on whale’s tooth by L.B. 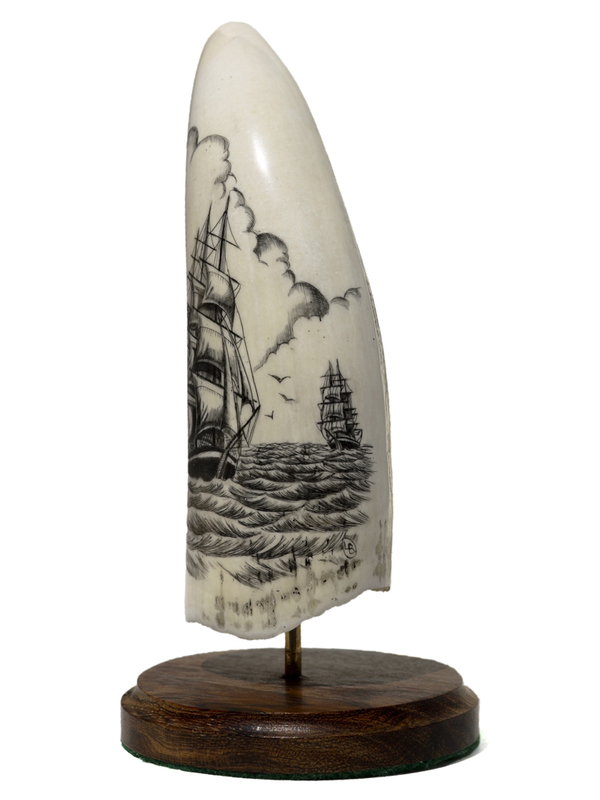 Two clippers at sea are heading in different directions, hoping to catch the better winds to arrive first at the London Tea Docks. 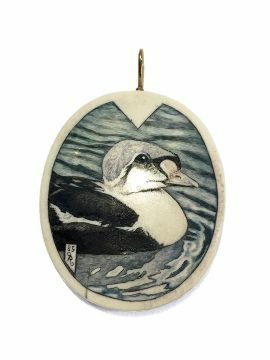 This was done in Hawaii years and years ago and is from the collection of someone who is no longer with us. 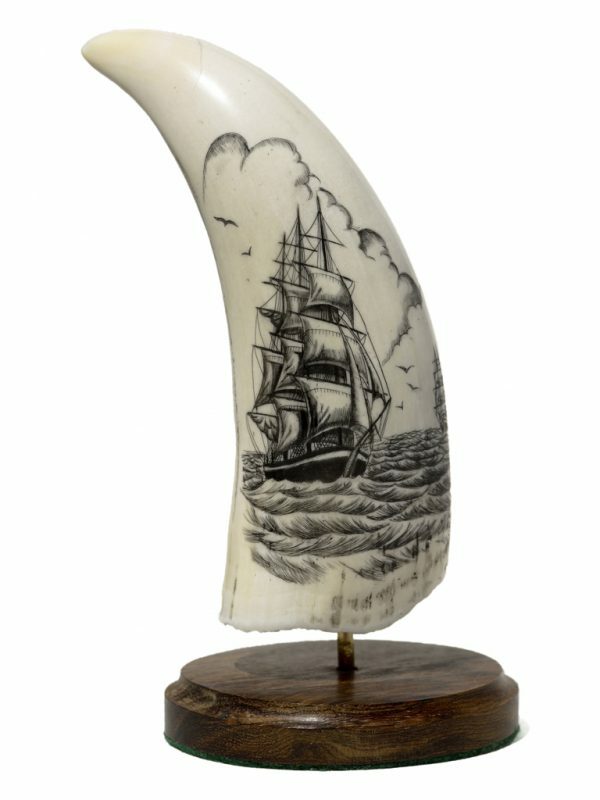 Not familiar with the scrimshander, L.B., but the work is clean and competent.